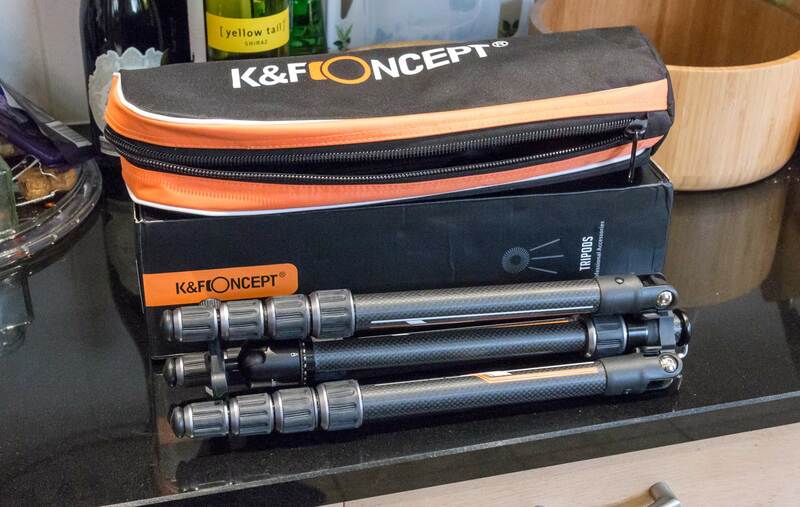 K&F Concept offer a range of tripods and camera accessories. 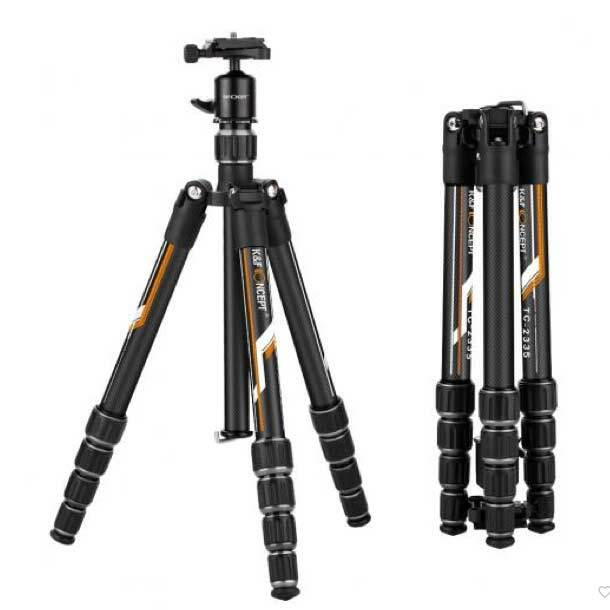 The TC2335 carbon fibre tripod is considerably smaller and lighter than other ones we’ve looked at. 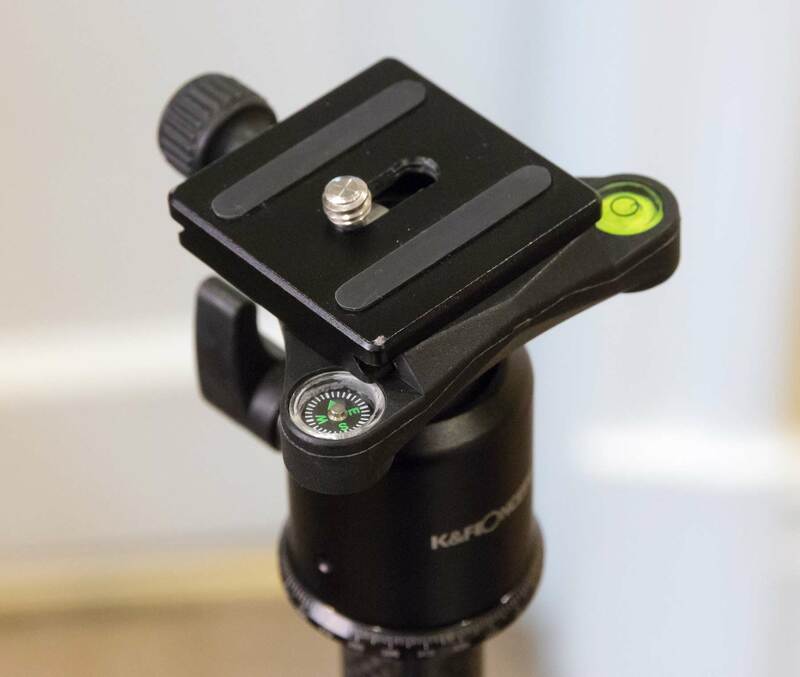 The tripod is available ($139.99 at time of writing) at the K&F web site with free shipping to many countries. 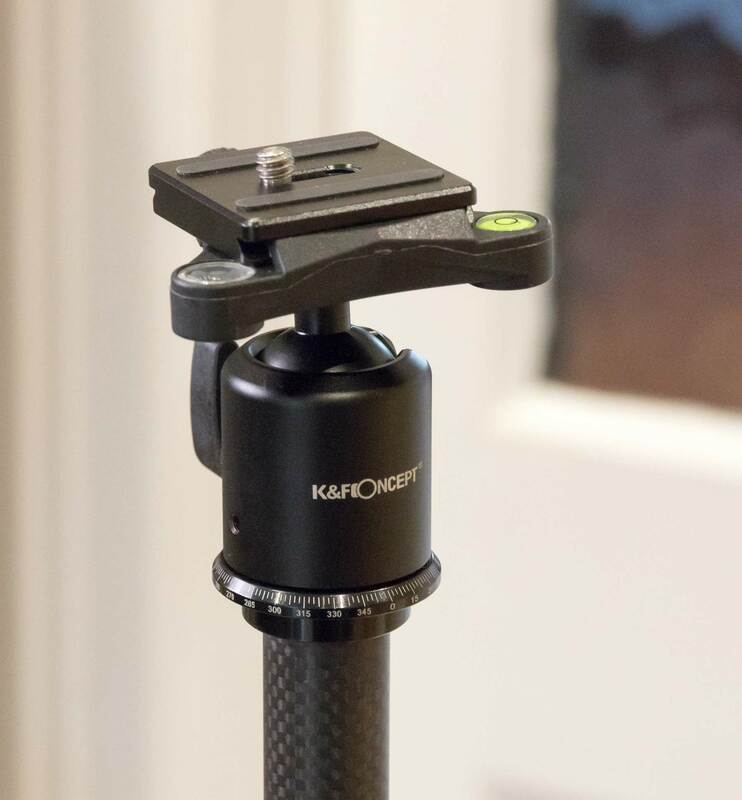 As someone who often leaves the tripod at home, well at least on non paying jobs, I was curious to try out this new very light and very small tripod from K&F. 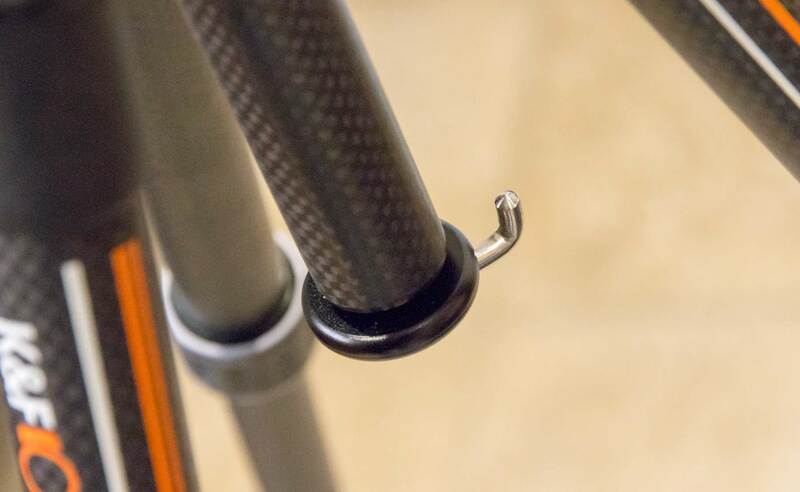 There are 5 sections in each leg, so take care to check tightness when extending and locking. 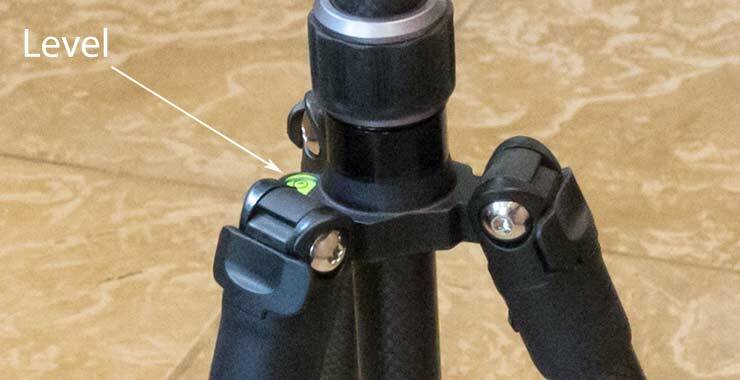 The ball head has just the one lock for ball movement and rotation. This means you should be careful slackening it off to rotate the camera axis, so as not to loosen the ball. 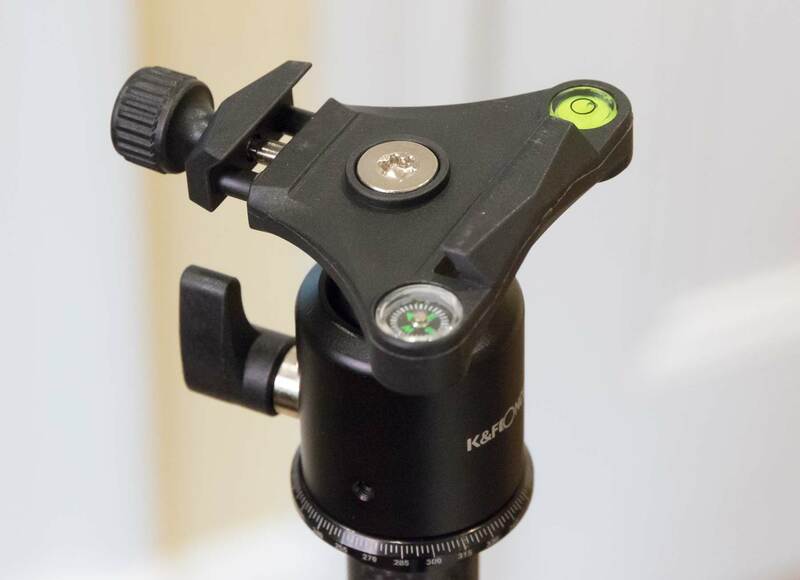 There’s a level and small magnetic compass built into the ball head clamp plate. 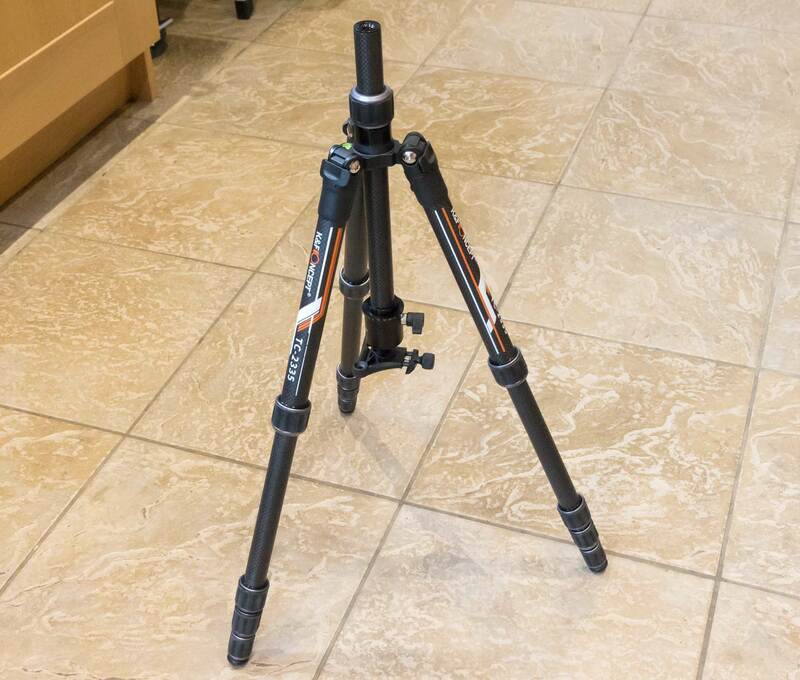 There’s another level at the hinge point of the legs, so it’s quite easy to set up the tripod for panoramic stitching, although that tends to be where I’d use a much heftier tripod. 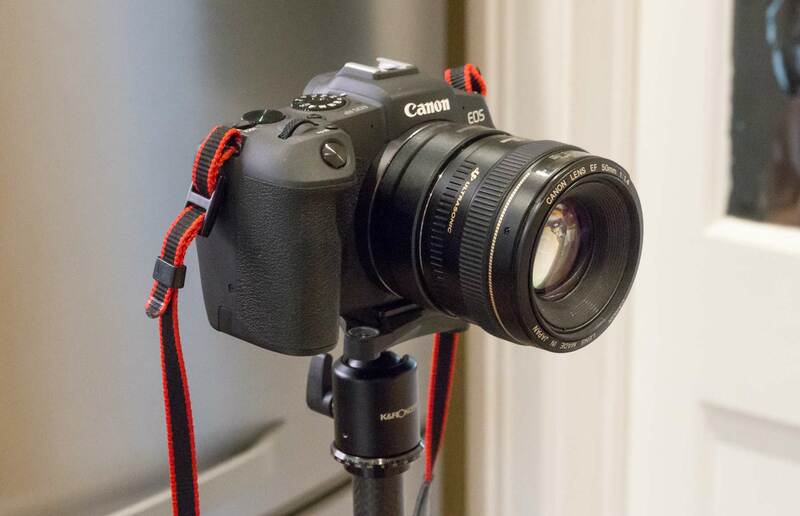 The head clamp (arca style) is pared down to save weight, but gives a sturdy grip. A plate is supplied, but all of my other ones, such as the L bracket below, worked just fine. 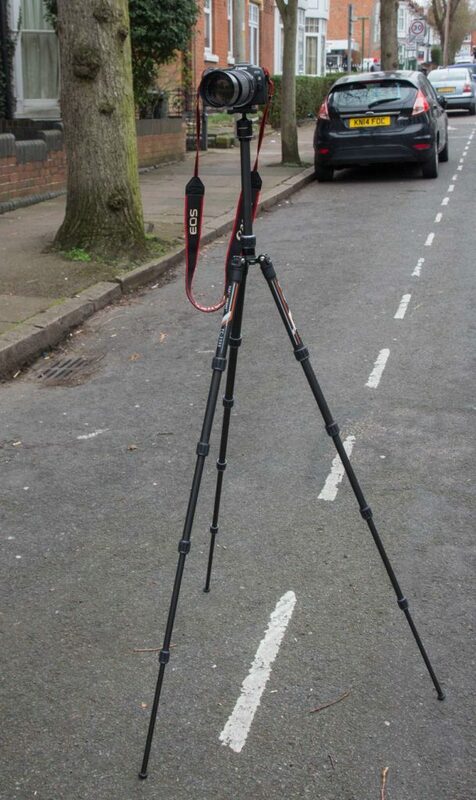 At the base of the centre column is a hook – you can hang a bag off this to give the whole tripod a lot better solidity. The centre column is reversible for low level shooting. 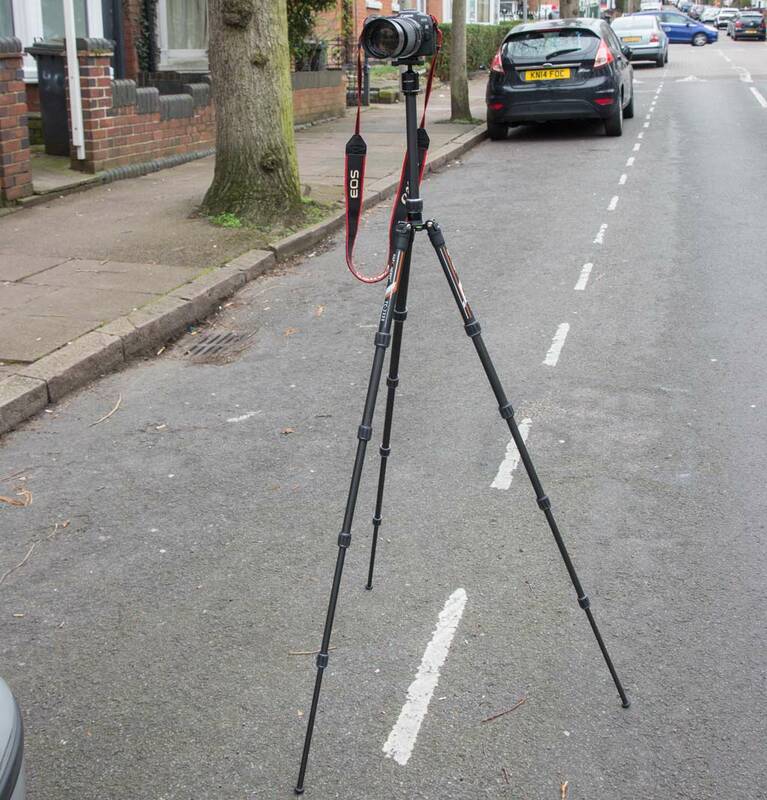 You can also use the legs at almost horizontal for a low angle. 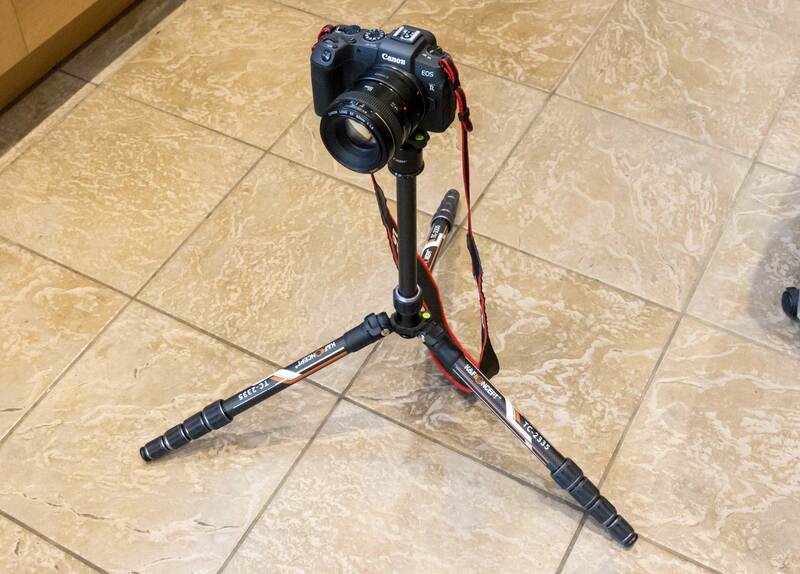 The tripod is impressively light and even fit inside one of my larger camera bags. At full extension it comfortably supported this Mamiya 210/4 medium format lens on my EOS RP with a bit of flexure that required a second or two to settle. No problem for fast exposures, but not what I’d want for a long exposure night shot, where I’d suggest using the timer/cable release. I’d also suggest hanging something of the centre column hook for stability. 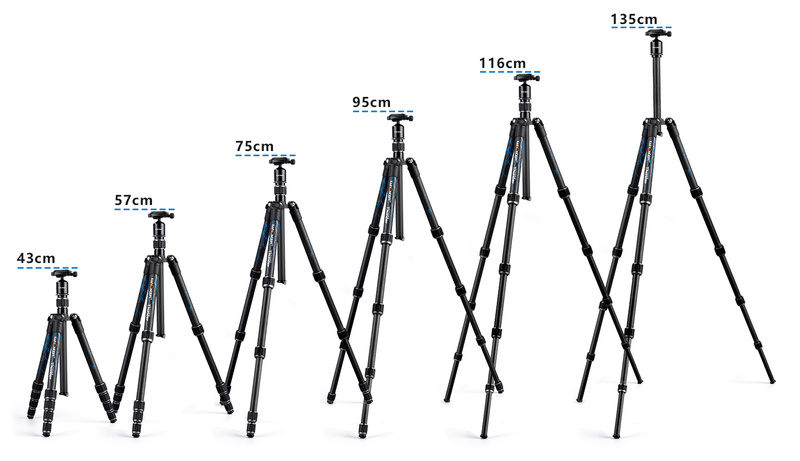 I tend to do this outdoors, even for quite large tripods, since it damps down vibration as well as improving stability. 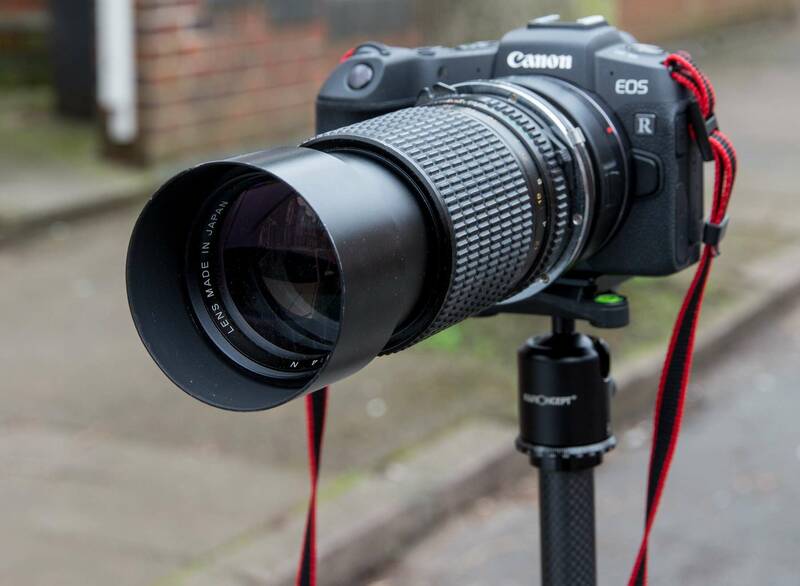 Mind you, that’s a hefty lens (and 2 adapters), with the centre column fully extended. Lower the column and the stability improves (much less wobble). Just be sure to brace the legs well. 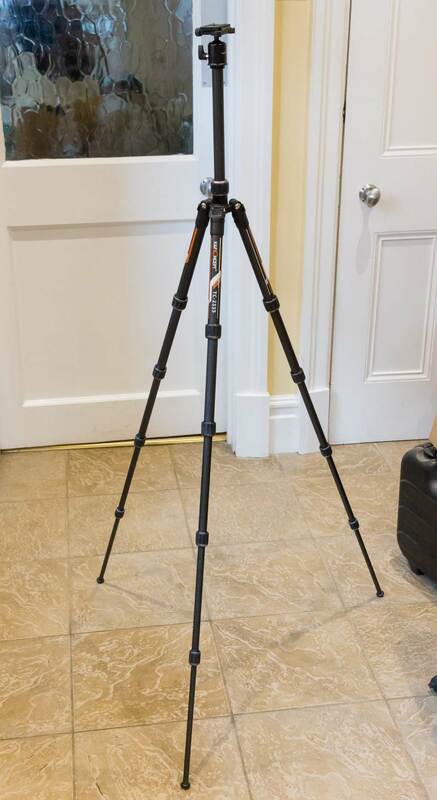 This particular tripod is small and light enough to actually make it on holiday with me – all my bigger ones only go on UK trips where they can be stashed in the back of the car.